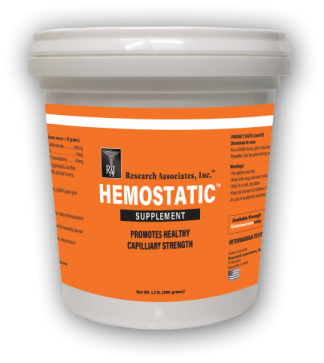 Hemostatic™ - Research Associates, Inc. Yes, I would like to receive emails from Finish Line Horse Products. Sign me up! 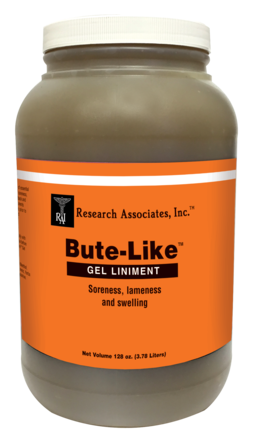 For the temporary relief of minor soreness and stiffness due to overexertion. 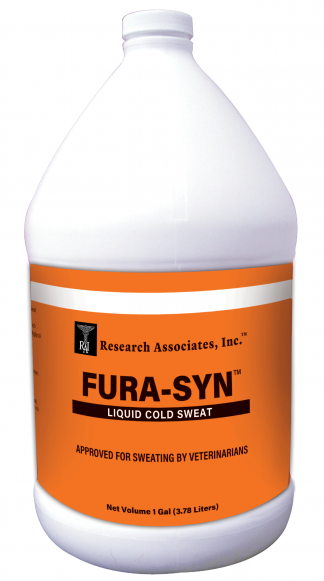 Gives quick relief where it’s needed. Can be used before or after workouts. Use anywhere on the horse, even under wraps or saddle pads. Will not scurf or blister Available in 4 oz., 16 oz., 64 oz. and 128 oz. INGREDIENTS: A proprietary blend of Arnica Montana, Tea Tree Oil, Isopropanol, Wintergreen Oil, Menthol, Methylsulfonylmethane, White Willow, Lemon Balm Oil, Turmeric, Yerba Mate, Glycerol, Water, Hydrophyllic Polymer Base, Triethanolamine. 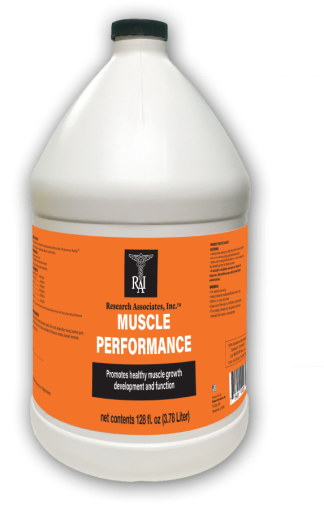 Chondrocyte™ HA is formulated to promote healthy joint function in your horse. It contains NO fillers and NO artificial colors. 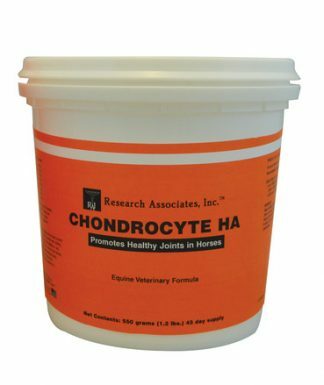 Chondrocyte HA is in a stable powder formula for excellent shelf life and is the best value for your money! Your satisfaction is guaranteed. INACTIVE INGREDIENTS: Aloe vera powder, Boswellia serrata, Bromelain, Calcium citrate, Calcium iodate, Magnesium phosphate, Natural and artificial flavors, Niacinamide, Pyridoxine HCI, Potassium sorbate Ribofavin, Sodium chloride, Sillica gel, Vitamin B12 supplement. 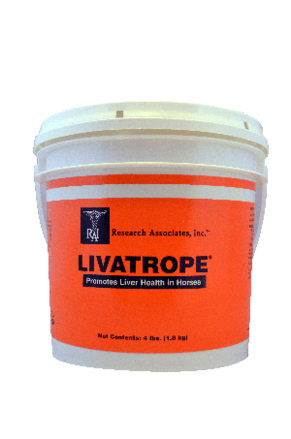 LIVATROPE® Supplement supports a healthy liver in the horse. It is indicated in horses with elevated liver enzymes. ACTIVE INGREDIENTS: Choline HCI, Calcium pantothenate, Lecithin, Dandelion root, Alfalfa root, Artichoke, Milk thistle, Turmeric, Methionine, Beet root. INACTIVE INGREDIENTS: Gelatin, Riboflavin, Pyridoxine HCI, Thiamine, Folic acid, Vitamin B12, Licorice, Flax seed, Grapeseed root, Potassium sorbate. 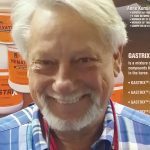 Research Associates, Inc™ is the SALE TO VETERINARIANS ONLY division of Finish Line® Horse Products Inc. Research Associates, Inc™ is founded on several generations of horse care experience with Veterinarian oversight.